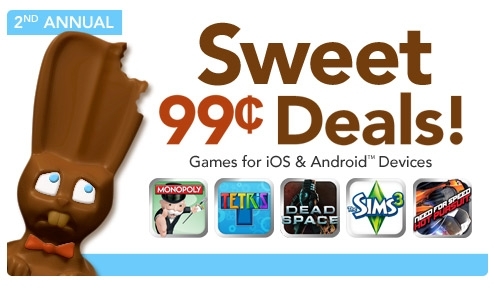 Electronic Arts is having another Easter sale on its iOS games for the iPhone, with some big titles for 99 cents. One of the highlights include Tiger Woods PGA Tour 12. At 99 cents, this is a steal (I called this sale!). If you’re looking for some games to keep you company this Easter weekend, check out the list above!